I have been asked once, what are the differences between local service, local system and network service. Well , Network Service is the least powerful context on the local machine. 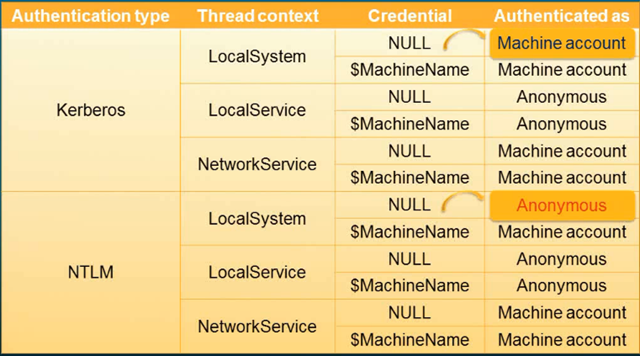 Local system and local service has administrative rights on the local machines. So what are the differences ? Local System will use the machine account when accessing network resources while Local Service will use Anonymous. This is only if Kerberos is used . If NTLM is used , then both the local system and local service will use Anonymous. Network Service will always use the machine account for network resource access on the other hand.